Healing effects of linseed oil, often called “liquid gold” and thanks to its unique composition and the numerous positive effects on human health is very popular. Flax plant, which would produce golden yellow viscous oil, a native of Egypt, Iran, Syria and eastern Turkey. Meanwhile, linseed is also cultivated in Europe. 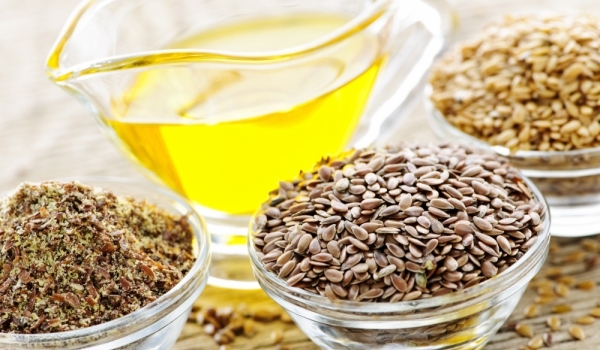 Flaxseed oil is made from linseed and can be hot or cold pressed. Cold pressed linseed oil is far healthier because it loses the least vitamins and nutrients. Golden-yellow color of the oil is obtained by cold pressing. Here and flavor of butter is tasty and spicy. If you store it for a long time, there should be no contact with light and air, otherwise it becomes bitter and rancid taste. It is therefore advisable to buy smaller quantities. The durability of the oil is not longer than two months. Omega-3: Fountain of Youth and assistant health. The secret of flaxseed oil or what makes it so unique and popular is the high dose of omega-3 fatty acids it contains. With the concentration of omega-3, even in the first place among all vegetable oils and is one of the few oils wherein the concentration of omega-3 fatty acid exceeds that of the omega-6 fatty acids. Omega-3 fatty acids are essential for your health. 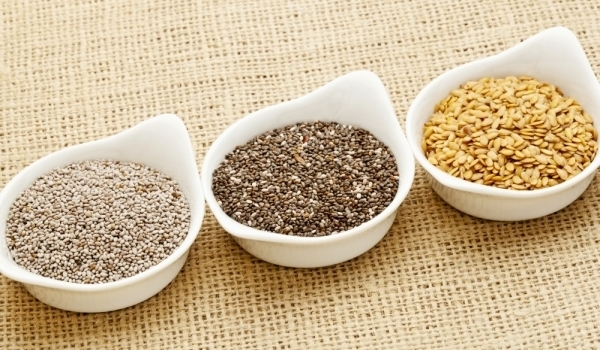 The proportion of omega-3 fatty acids in flaxseed oil amounted to 70%. This is more than rapeseed oil, which is known as omega-3 provider. Intake of cold pressed linseed oil is the healthiest way and accepting it cold optimally benefit from its positive effects. If heated, it loses the double bonds of omega-3 and omega-6 fatty acids are evaporated. Linseed oil is not suitable for frying. If flaxseed oil has a pleasant, nutty flavor, you can pick it clean – for example 1-2 tablespoons a day. In addition, many fits into cold dishes as a condiment in salads, mixed with cottage cheese or potatoes. Due to the very high proportion of omega-3 fatty acid, it replaced the fish without difficulty and is an important part of vegetarian diets.